A man is examining safety harnesses in virtual reality as part of the ASSP Fall Protection VR Experience. Credit: Arch Virtual on Youtube. There are a lot of fancy new tech toys beckoning for company dollars, and Gschwind’s healthy skepticism will be a mirror for many. Although the buy-in for virtual reality headsets, peripherals, and software is high, so too are the costs of safety equipment and workplace fatalities. Occupational Safety and Health Administration (OSHA) statistics report that 991 workplace fatalities occurred in the construction industry in 2016. Four major causes of two-thirds of those deaths, known as the “Fatal Four”, are categorized as: Falls, Struck by Object, Electrocutions, and Caught-in/between. Construction fall protection is the most frequently violated OSHA standard in 2017. 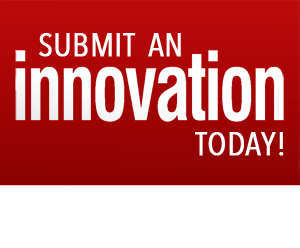 Thomas E. Kramer, managing principal at engineering firm LJB Inc. and vice chair of the ANSI Z359 Accredited Standards Committee, described how VR can help enforce key elements of an effective fall protection program. Based on the numbers, better training and adherence to fall protection is greatly needed and will lead directly to more workers going home after their shifts. The American Society of Safety Professionals unveiled a new VR app, called the “Fall Protection Experience”, at the Safety 2018 conference in San Antonio, Texas. The app provides a highly realistic 3 to 5 minute VR experience in which users learn how to operate safely when working above ground. 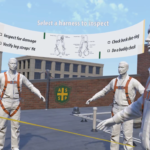 In the experience, users navigate the roof of a two-story building, identify common hazards, and then build a fall protection system for a virtual coworker. “We created a good cross-section of hazards that users might see when working at height,” said Kramer. “Whether a user is construction-focused or maintenance-focused, the app helps them be aware of hazards that are not necessarily obvious.” The app is available for purpose at the ASSP online store. There’s a big gap between a classroom safety training session and real life, and VR training simulators can make a huge difference building bridges. Many employees around the world have to experience fire extinguisher training, and often those sessions include a digital fire extinguisher and an LED-powered “fire” simulator. These stand-ins for real equipment help trainees build awareness and muscle memory for safety techniques that yet another white background PowerPoint presentation cannot. “If you make a mistake, you can just press the reset button,” Tim said, which is both a blessing and a curse. Much like the carefree nature of your avatar’s grisly deaths in video games, too much time in VR simulators can lead a trainee to develop a false sense of security. A focus, then, appears to be on realistic, visceral, and short training experiences. VR apps such as the “Fall Protection Experience” can supplement (or even shorten) the classroom side of a fall protection program, and prepare trainees for the real-life training.